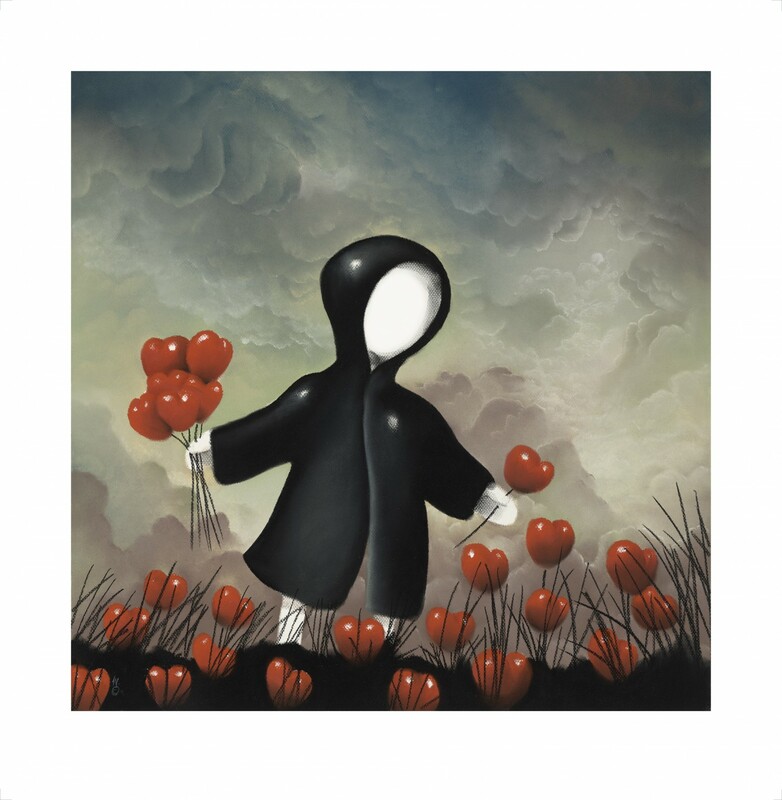 Mackenzie Thorpe (born 1956 in Middlesbrough, Yorkshire) is a British artist. Born as the first of seven children into the post-war industrial town, Thorpe initially took on work in the shipyards, such were his familial origins. A suggestion from a friend, however, encouraged him to try to pursue his first love, drawing and painting, at art school. Thorpe applied in 1977 to study at the local Cleveland College of Art and Design, where he studied under Tom Wall, leaving two years later for the Byam Shaw College of Art in London, and a fine arts degree. After graduation in 1982, Thorpe remained in the capital to aid disadvantaged children. However, motivated by a desire to provide a better environment for his children to grow up in, Thorpe returned with his family to the North East in 1989. There, he set up Arthaus, a gallery in Richmond, North Yorkshire, which remains to this day. His works are associated with a principle of "Art from the heart" – combining tenderness with fervency through his abstract depictions of animals and children. His work is wide ranging from the accessible 'square sheep' and duffle coat boys to more challenging work focusing on isolation and man's struggle. Much of his work depicts his childhood growing up in Middlesbrough. Thorpe produced the official Christmas cards for the Conservative politician and then party leader, William Hague. Other plaudits include the 'Best-Selling Published Artist' award in 2000 from the Fine Art Trade Guild-hosted Art & Framing Industry Awards. However mima, the Middlesbrough Institute of Modern Art, which opened in 2007, has consistently refused to show his work He now has dedicated works in James Cook Hospital and has a touring exhibition. Artsbank Saltburn are holding the current exhibition which feature many of his private collection. Thorpe also holds an honorary Master of Arts degree, collected in 2000 from his hometown's Teesside University. In addition, Thorpe's and Arthaus' wish to support 'good causes' culminated in the launch of the Mackenzie Thorpe Foundation in 2005. In October 2006 Thorpe produced an exhibition of outdoor monumental sculptures in Kansas City, Missouri and intends to take similar concepts to New Zealand, Australia and the UK. His auction record of £9,000, paid for his 91 cm square oil on canvas "The Family (Kiss)" was set at Tennant's auction house in Leyburn on 4 March 2009.